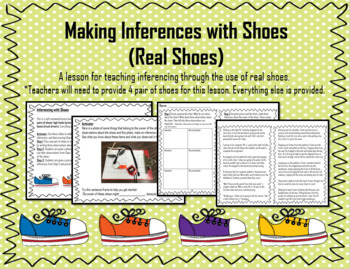 This product is everything you'll need to teach students how to make inferences with shoes - yes, real shoes. Just click and print! 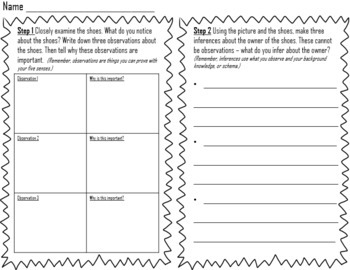 *Teacher will need to provide four pair of shoes for this lesson. All other pictures, text, and activities are included. 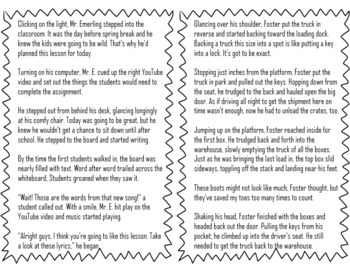 This is a collaborative lesson that has students working step-by-step through making inferences based on observations and then evaluating those inferences with text evidence. 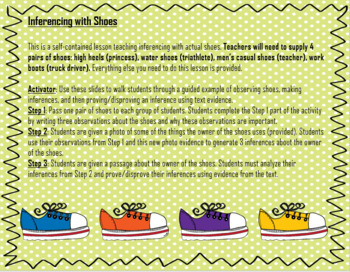 It's a fun, hands-on activity that will have students highly engaged.